Honda CR-V 2014 Vs Toyota RAV4 2014 – What Should You Consider Buying? There is no way to deny the fact that this part of the market is highly competitive. These two models are currently market leaders and it is a certainty that both the 2014 Honda CR-V and the Toyota RAV4 2014 will be considered for the title of the best compact crossover. We do not have many differences between the two and those that appear may not be so important for you. We all know that prices tend to vary from dealer to dealer but the MSRP price can be taken into account when comparing the two SUVs. 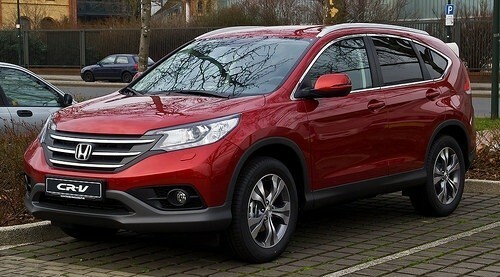 Honda CR-V 2014 has a price tag between $23,000 and $29,000 while the 2014 Toyota RAV4 comes through at $23,500 to $29,800. Honda CR-V 2014 and Toyota RAV4 2014 are almost identical when referring to proportions. The difference is just around 1 inch when comparing both length and width with RAV4 being a little larger. It should be mentioned that Toyota manages to offer a little more cargo room by 1.2 cubic feet when the seats are up. There is also an optional rear power liftgate that cannot be installed on the Honda. On the other hand, CR-V 2014 has great folding rear seats, some of the best in this market segment. The fuel economy is practically identical when comparing the two SUVs. Also, both come with 4 cylinder engines. RAV4 2014 has 2.5 liters while the CR-V has an engine with 2.4 liters. The two engines are a little different but they practically even themselves out since CR-V has more horsepower and RAV4 2014 has better torque. When analyzing results in NHTSA tests, CR-V 2014 managed to come out with better results than the Toyota RAV4. It has the maximum 5 stars overall rating while RAV4 just managed to get 4. While the vehicles do not have a 2014 Top Safety Pick award, the safety features included are quite great. 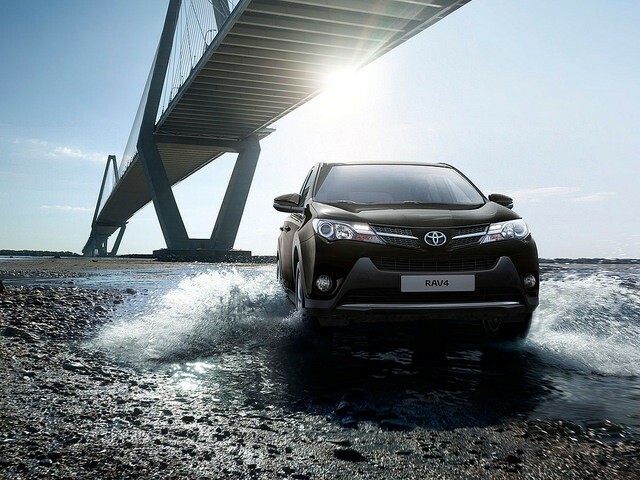 There are backup cameras included in both models and RAV4 does bring in more safety technology as optional features like lane departure alerts or blind spot monitoring. No matter what SUV you will buy in 2014, you surely want the interior to be great. We have to say that when looking at standard features in the past, Honda CR-V did manage to offer a whole lot more. This year RAV4 did manage to catch up. We have standard features in both the Honda CR-V 2014 and the Toyota RAV 4 2014 that you will like: backup cameras, Bluetooth connectivity, folding rear seats and air conditioning. RAV4 comes with a little extra in touchscreen display and audio systems. CR-V 2014 also has a display but it is not as versatile as with RAV4. The slight interior comparison edge needs to go to the CR-V but the margins are definitely small. What Should You Consider Buying? It is really hard to compare the Honda CR-V 2014 and the Toyota RAV4 2014. We have similarities in features, utilities, dimensions and prices. The truth is that the choices will most likely be made on a subjective note based on styling. RAV4 is more modern while CR-V 2014 does stand out as being more traditional. No matter what you end up choosing, reliability is great with both SUVs. NextMercedes Benz ML 2014 Vs Audi Q7 2014 – Which One Should You Buy?